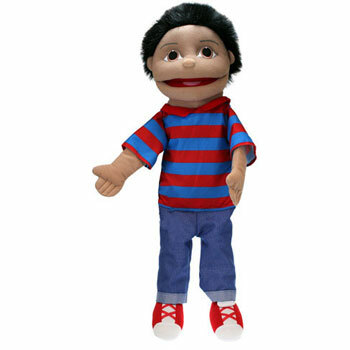 A medium (60cm) boy puppet buddy with olive skin tone. CE marked and safety tested to European Standards. Suitable for children over the age of 12 months.